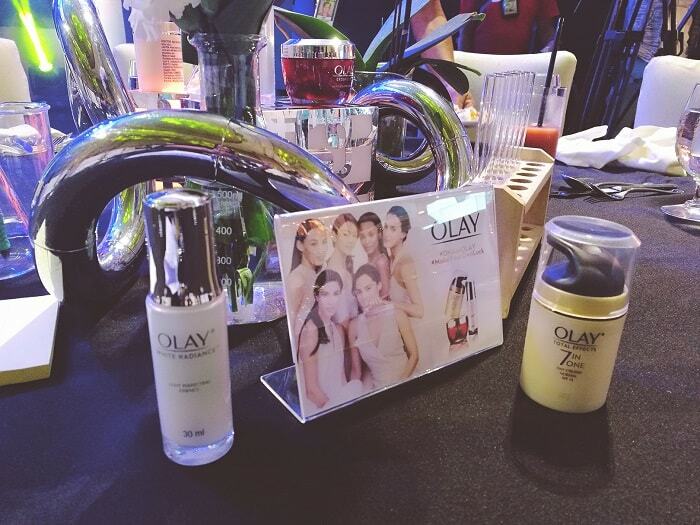 Olay unveils its new and improved line for the modern Filipina. During my teenage years, I always wish to grow-up as a graceful woman, and to age beautifully. Although I’ve been blessed with good genes by my parents, it doesn’t mean that I should let it be and not bother taking care of my skin. True. You are blessed with good skin and beauty, however when you didn’t take good care of it – you don’t realized that it slowly taken away from you. By these various radicals… and of course by nature. And I am one of the many women who doesn’t want to age faster. Life is so beautiful, and I have to stay beautiful as well! That’s why in my 20’s when I started earning on my own. The skincare I rely on is OLAY. I believe my Mom keep on mentioning it during my teen years, that OLAY is one of the best in beauty industry. She is right. I’ve been a huge fan of OLAY, - from skincare, body care and lotion including OLAY bath products, OLAY sits proudly in my vanity table and bathroom. 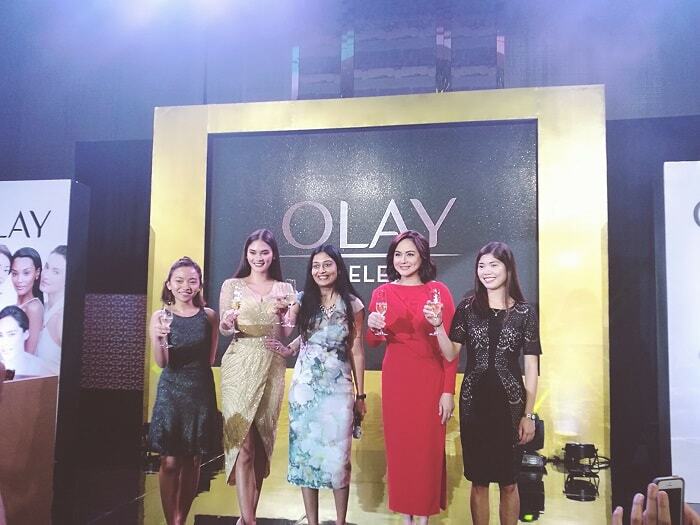 Few days ago, I was invited to unveil OLAY’s newest improved products for the modern Filipina, held at Shangri-La The Fort. OLAY proudly shared us its re-engineered formulas which will give an extra boost to let skin’s youthful beauty shine through. We all dream to have that beautiful skin as we age, and yes now it is possible! The new OLAY White Radiance Light Perfecting Essence with Pearl Optics Complex enhances the skin’s dewy radiant aura. It does by improving brightness, skin tone, and hydration, visibly reducing the appearance of dark spots over time. With this new formulation, you can look glowing and fresh, and feel confident even with minimal to no makeup. With the addition of Carob seed extract, the new Olay Regenerist Micro-Sculpting Cream helps accelerate the recovery of aging skin, thanks to the added Glyco-Repair. This component activates the “ageless gene” pattern for that youthful-looking skin with reduced lines and wrinkles, and improved texture and elasticity. While also containing hyaluronic acid that aids in drawing moisture to keep your skin supple, the new Olay Regenerist Micro-Sculpting Cream steps up its game as a new force in firmness. The re-engineered formula is designed to better plump skin resulting to reduced fine lines and wrinkles starting from day 1. We had a chance to test these new improved OLAY products and had free beauty consultation with OLAY skin experts, and help us understand and guide us on our skin needs. I’ve learned that my skin condition is on outmost beautiful condition (yey!) and I think I have to reward myself for my diligence and discipline in taking care of my skin. But I have to give focus on my little fine line wrinkles, gladly OLAY is here to help me to diminish and slows down its existence. 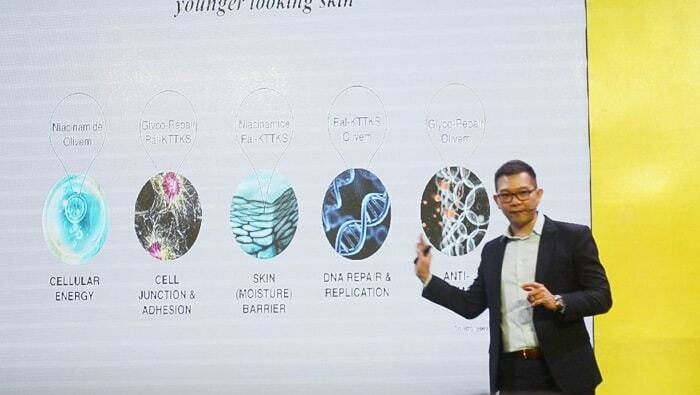 We also listened and learned from Mr. David Khoo, Olay’s Scientist while he discussed the Science of Skin Ageing. I listened very attentively because this is something that gone many research, studies, and hundreds of testing. I have been a fan of Olay products since forever. My mom always used them, so now I do, too! Same story with my Mom. It seems like OLAY have such a huge impact to Mother-and-Daughter relationship. My Mom is my first beauty influencer. Nice Marketing Plans. So I hope you are happy with results. BUt I am happy that Olay managed to help you. I had been using Olay products for years now, and I am still impressed. I totally agree on your quote and quote.. We share the same principle - The harder you work, the luckier you get. Which OLAY products are you currently using? I love this OLAY variant as well. And I have it always in my bag whenever I needed it. I to do not want to age. I love that there are products that keep us young. We all going to age eventually. But we don't want it to happen so fast! We love to enjoy life :) Glad OLAY is here. I've always liked Olay products. I remember my mother using them when I was a little girl. Such fun memories from a trusted brand. When you see your Mom that she's been using it for years until you grow up, you started to gain attachment to her beauty products. Every little girl wants to be like their Moms. Sounds like a great event! I am not sure I ever got to try this brand! but they sound fab! Oh dear, you are missing a lot! OLAY is been in the beauty industry, before you are born. oooh that looks like a fun and educational event. I'm always fascinated by how brands market to different countries. I agree. OLAYs have diverse market, and they making sure that they will cater their market's needs. Olay are one of those brands that just seem to have the whole world at their finger tips and this sounds like such a great event to get to know more about them. I agree. They have launched this new improved formula which will give more boost on our skin. This is so awesome. I've always been a fan of Olay products. I need something to help with my fine lines. My all time favorite it their regenerist skincare line. I've using it since I hit 25! Olay is such a fantastic brand - my mother has used it all her life and looks years younger than she actually is! Wow, your Mom is a living proof that OLAY works! That's great. You have OLAY truly creates bond to your relationship with your Mom. My Mom love it as well. I haven't seen her using other skincare brand. Olay was a brand I grew up with too, my Mom would wear it everyday and I use it these days too. It's a brand that has stood the test of time, the results speak for themselves. So true, sometimes I think OLAY doesn't need too much promotions because their products already speaks for themselves. Moms are the number one influencers, so you know it works well. My mom also loves Olay! The only one I've used is the moisturizer and I really liked it. That's cool! You should try the renegerist line while you are still young. I love the facial moisturizer from OLAY. 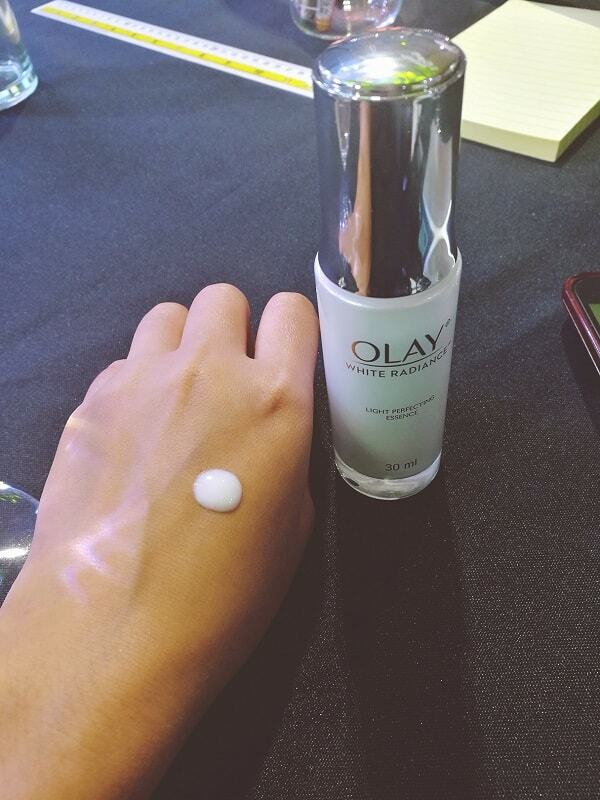 The OLAY White Radiance Light Perfecting Essence with Pearl Optics Complex sounds like an amazing product too. Oh yesterday I've bought new Olay bathsoap to complete my OLAy experience. Make your own luck sounds interesting! I never actually used Olay products before, but I heard great things about it! What a wonderful experience! To be able to contribute in such a positive way and be at the Forefront of such a wonderful brand. I can't wait to see what else they have in store. I am passionate about skincare! I love learning about new products. Thanks for the great info about Olay products! I am a big fan of OLAY too. I have been using OLAY products for 3 years and now I can feel the softness and bright tone of my skin whether I make up or not. Now I'm looking forward to trying the new product. Thanks for your sharing. My mum has used olay for as long as I can remember! Looks like a fun event to attend! Same as my Mom! I think Olay should also make a video series about Olay, Mom-and-Daughter story. This brand has been in the industry before I was born and very trusted brand. I use Oil of Olay Regenerist and I love it! I've recommended it to several of my friends. It's so important to take care of your skin throughout your life. Your older self with thank you! Love olay cream anti aging products. Best is reasonably price with the quality that they offer. Exactly! This brand is somehow being overlooked by many because of many aggressive Kbeauty brands, however OLAY remains one of the best. produk olay sudah lama bertapak di Malaysia.. pastinya ramai dah kenal produk ni.. TB pun suka dengan produk dari Olay..
My OLAY Story is so memorable and it helps me to bond more with my Mom. I have heard so much about this brand yet i have never try them haha. Should give a try after finishing mine skincare. You better try it Amelie! Try the 7 Total Effects Moisturizer. Thank you Dear! And I'm loving the Olay products. I will share my review and experience of using these skincare very soon. My aunt started using Olay products since they came out with them, or the one she wears. She has the prettiest skin I've ever seen even at her age so I started using Olay as well. Truly, your Auntie is a living proof that Olay works! Its classic and will always be in the beauty market. Looks like a fun event! Keep it up! Every Filipina deserves a good lifestyle. Olay skincare can also be used by men. I have male friends who puts regenerist moisturizer before bedtime. Olay make some great products and they're really good value! Exactly. I think this is one of the skincare brand that balances the high quality of products and affordability. I agree. And most of the early users of Olay becomes true loyal to the brand. Like your Mom and my Mom! We asian always look younger than we really are! My mother was 40 when she still had to show and ID to buy alcohol when living Sweden! I mean, you have to 18 years old!😂 And yes I grew up with Olays aswell! I still remember the pink square bottle with black cap. It also happened to me. The mall guard thought I was a high school and not allowed to enter the mall during school hours. Glad I have my passport with me! I always love olay since 10 years ago! Better to take care of our skin early than regret it. Olay happens to be one of my favorite brands! I have been using them for several years. Would you be recommending Olay to your daughter when she reach her right age? Olay makes the absolute best anti aging products. I've been using them for a couple of years now and wouldn't give them up for anything. I grew up smelling Olay. My Granny and Mommy are the prettiest woman I know and tats why I use Olay. I love all their new products. Thanks for sharing. When I was young I never thought about what I would look like growing older. I use this line of skin care. I was 15 when I told myself I will also use Olay skincare when I can afford it. Then I did! Never regret it. Yeah I shoot my own photos, still no photographer of my own, hahaha. These sound like great products. Looks as though you had fun at a super event too! Hahaha I did because I am a fan of Olay for many years. Man, Olay knows what they are doing. I haven't found something that they don't do well yet. I agree, even in their promotion ads, I never read or viewed Olay scandal. I love this brand. The sounds like a very intense but cool day. I use Olay's Seven Signs of Ageing and I love any creams that have a built in SPF so I don't have to buy a separate one. Using Olay save me a lot on buying other moisturizers. Great information on the Olay company. Skincare is important. Its nice to know they are invested in quality products. I'm glad that they have this improved formula. More reason to stick to Olay. Wow, what a fantastic to be part of. Olay has always had reliable and fabulous products. Olay is a great skin care line. A tried and true brand that's been around forever. You are absolutely right that we need to take care of our skin and this is a way to do just that. I guess this is the secret of our early beauty icons. Definitely going to check out Olay products and see if they have something for my special skin type! I really like the Olays brand. The event looks so much fun. Thanks for sharing. Olay is nothing new to me. In fact started using it when i was still in primary years. I'd sneak into my aunt's bedroom and take some of her oil of olay. I recommend you use the regenerist line as well. This would help you to safeguard your skin, and slows down the skins of ageing. HAHAHA Well Let's make a huge shout-out for OLAY PHILIPPINES! I honestly wanna go back to using Olay. I am slowly feeling the ageing of my skin, and I know Olay can fix it. I was a user when my dad used to work abroad, I get them for FREE haha! Unlike now I got to spend for it LOL! Hahaha you better switch na. OLAY is not expensive actually. Beauty is in the eyes of the beholder! That's for you dear! Olay has been around for years, trustable brand overtime and it works like magic everytime! Sometimes I feel like Olay is me big sister! Olay's line of products is very famous and quality. I think people should choose this product. I have a lot of friends who are using it and me. Yeah.. This is a kind of brand philosophy that Kbeauty brand would hard to beat. Thank you for visiting Racheal! I used to use Olay but have switched to other brands. I should really try their latest products again! No one wants to grow old! ... grow old faster! Rather must grow old slowly and gracefully. Oh my! Ansaya ng outing! And Pia is there!!!! Waaaa I love Olay products, too. They came into my consciousness when I was still a little girl. My mother used their pink liquid moisturizer back then. I wonder if the pink Olay still produces in other countries? I should try that as well! I have many nostalgia with Olay. What a fun event! You were so lucky to be able to attend this! I hope I can attend more blogger events like these! Olay brand is good. My mother and I use this brand. Will you also recommend Olay to your daughter? I love Olay products. It would be so cool to create my own! That will be a great idea! Share us your Olay story! I'm using this product when I'm teen couple year ago. Olay is a good a famous product. Always heard a positive comment about it. Exactly, and I never read any Olay scandal. Trustworthy brand! The Olay 7 signs is one of my all-time favourite moisturizers, I've been using it since I was a mid-teen and it smells heavenly but also really does make my son feel great without the luxury brand price-tag! Olay has always been my go-to brand for skincare. Glad to know of their new product. I wonder if they are going to bring in similar innovative products especially for Malaysians. Was sure a cool and interesting event! Always heard about Olaz, but never tested their products, I think it's time, very curious about them! Love Olay products..have been using them for so many years now. Their new product seems great to give radiating skin. Would def try it out. Thanks for sharing. Thank you Neha! And please share us your Olay story! 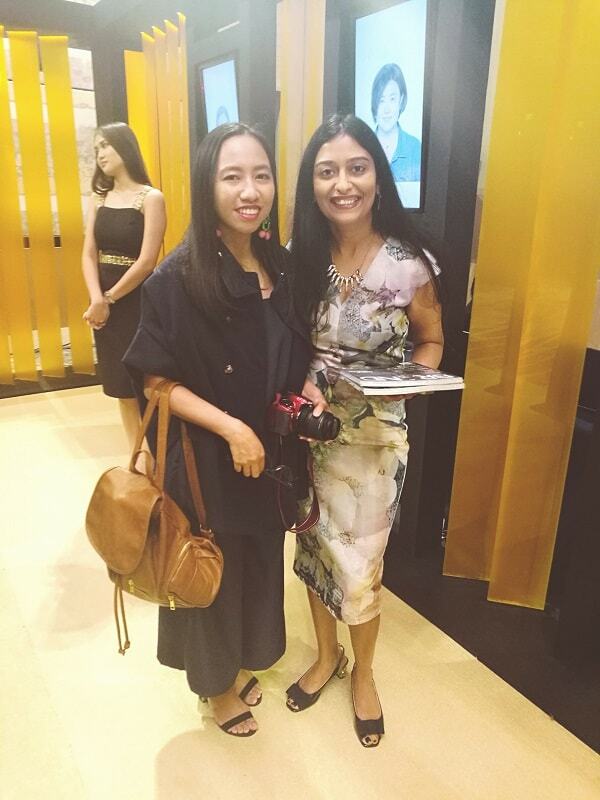 I love Olay products, and I would have loved to attend an event like this. It looks like you had so much fun! Thank Katy, yeah I did! Ohh that is sweet Elena. I wonder if they still do it again, right?! Olay products are pretty awesome. This looks like a super fun event. Yes it is Angela. They also gave us free samples of Olay products in full sizes, so its truly AWESOME! Olay makes some great products! I love your quote at the end of this post - so true! This unveiling of these new products had to be an awesome event. I would love to try the Olay Regenerist Micro-Sculpting Cream because of my aging skin.Thanks for sharing the information. I have other brands as well, so now I am scheduling all my skincare for a week. Olay is a very trustworthy brand! Their serum was the one that protected my skin and gave me a glow during the stress of planning my own wedding. Good to see their new products! Used to use Olay products last time, guess I should check it out soon. That will be great :) Try the 7-Days total effects! You should try them! Opt for the trial pack so you wouldn't be overwhelmed. Olay is a great brand with all the technology and research they put behind their products, I used to love it until a few years back. Now that I have severe acne I don't use Olay anymore. Thank you for sharing your story Aditi. I'm going to give olay a try one day.they seem good with skincare. Yes, have the trial pack first! I remember my first whitening products during high school is Olay! Can't believe is been so long since Olay products has been part of my life. I know right?! I think Olay is forever! That Line "What is given, can be taken" hits the bullseye when it comes to skincare. Pertinent! Thank you Nidhal. Nothing is permanent. I used to know the brand as Oil of Olaz. I see it's rebranded now :). Great that you were invited to unveil OLAY’s newest improved products. I haven't used their products for a while now. But I used to use it, and I liked it. It's nice to see the product they have now. Maybe I'll try again! I agree. My Mom is very loyal to Olay. She is my first influencer. Aw! I love Olay products and I've been using them for as long as I can remember! lLike you, I also believe Olay is forever and I could not see myself swapping my Olay favorites for anything else! That's good to know! I hope the next Olay ad campaign is about a series of stories about Mom-Daughter bond.